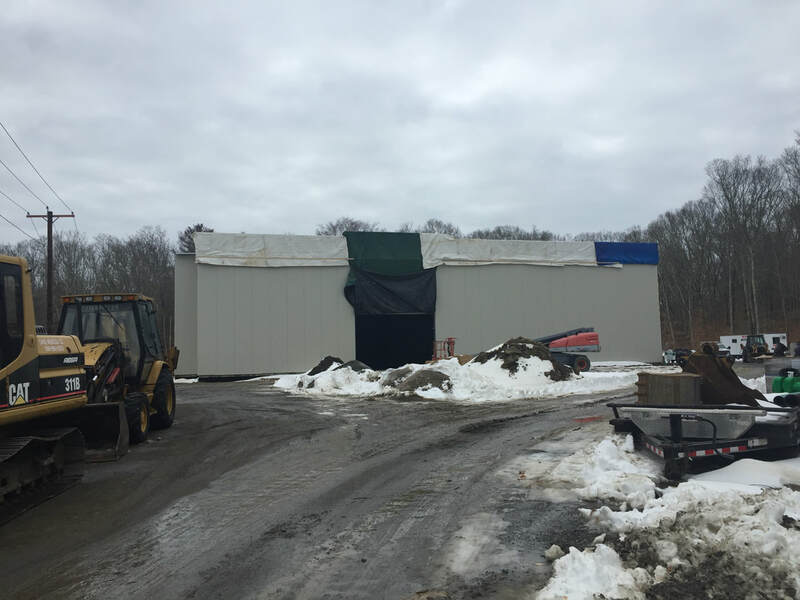 The Livestock Institute of Southern New England (TLI) proudly announces the beginning of construction for a new meat processing facility called Meatworks, in Westport, MA. We will open in June 2018 and are now taking bookings for regional producers. Contact Amado Baeza for booking inquiries: amado@thelivestockinstitute.org. We at TLI believe in best practices in animal husbandry, and the humane treatment of livestock up to and including dispatch. With Meatworks, we are closing the gap in the food system, and ensuring our region is a model of a truly local, sustainable production system that serves our communities. Meatworks has integrated the highest food safety standards and the highest animal welfare standards into the facility. We will provide our producers with full traceability through the facility, via a state-of-the-art product traceability system. Together with our educational programming, TLI will help ensure that meat produced in Southern New England is a truly local and high quality product for our customers. After many years living and working in the South Coast, TLI’s Board of Directors, comprised of local farmers, business leaders, and sustainable agriculture activists, decided to address a long-standing problem for local producers: a lack of quality local processing facilities that has limited the potential of regional famers. The absence of these services requires local animals to spend hours in transit to a facility in northern Massachusetts, Rhode Island, Vermont, or New Hampshire, incurring additional costs for producers and adding stress to the animals. These facilities are also in high demand and available bookings are hard to come by, limiting the number of animals our region can produce. Indeed, we believe meat production in our region will expand upon the opening of Meatworks, making farming a truly viable profession in Southern New England. Meatworks will provide 20 high quality, well-paying jobs along with the necessary training in an area that is very much in need of employment opportunities. The TLI Board worked with nationally recognized designers and consultants including The Dennis Group of Springfield, MA and Dr. Temple Grandin, designer of livestock handling facilities and Professor of Animal Science at Colorado State University. Dr. Grandin and her engineers designed the animal handling systems and approved the plan that is under construction today. Dr. Grandin has created designs that minimize the stress the animals incur during the transitions from truck to holding pen, all the way up until entering the facility. The small scale of our facility will allow us to treat each animal with care, ensuring tranquil progression and ultimately a respectful and humane end. Meatworks would not be feasible without the dedication and support of Bay Coast Bank, Mass. Development, USDA-Rural Development, the Massachusetts. Department of Agricultural Resources, USDA, and a combination of individual supporters and foundations. We invite the community to visit Meatworks upon our opening in the spring of 2018. In the meantime, our educational events continue. Please come to meet our staff and Board at our annual Livestock Conference on January 28, 2018. Andrew Gunther, Executive Director of Certified Animal Welfare Approved will be the keynote speaker, along with many varied and well-respected experts in the field of livestock farming. Meatworks is well under-way, with the plumbing, exeterior walls and roof in place. In February - May 2018 we will completely outfit the interior of the facility in preparation for June 1st. opening to the public. In the winter of 2014-2015, the TLI Board worked with Food Tech, Inc. of Rockland, MA and our industry consultants to design the floor plan and process flow of the facility. Since early 2016, TLI has been working closely with the Dennis Group from Springfield, MA to finalize the floor plan, complete the architectural work and building engineering. The final construction documents were finished in early fall 2016. Now, in spring 2018 we're are well on our way to realizing the final building!